Just in case you haven’t seen it yet, T’yanak and Sonata, two films I wrote for my dad, Peque Gallaga, and his co-director Lore Reyes will have screenings this month. Both films haven’t had a full theatrical run so not many people have seen them just yet and if you want to catch it for the first time (or see it again), you’ll get your chance this month. 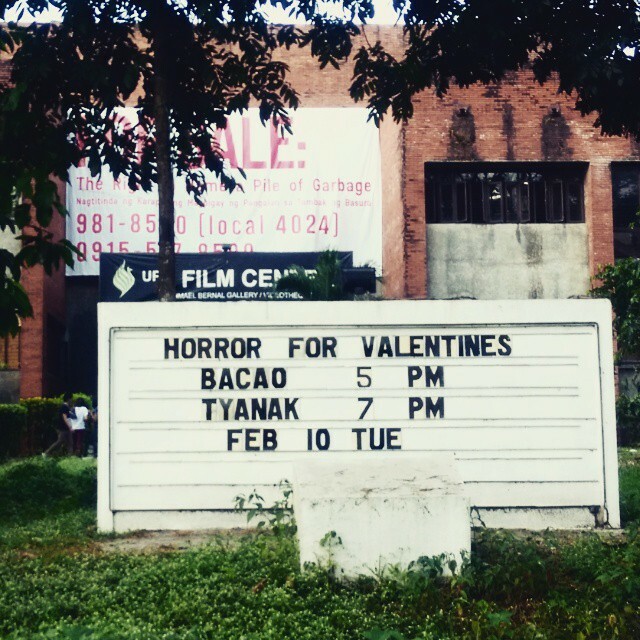 The UP Film Centre is holding a showing of the films Bacao and T’yanak on February 10 (Tuesday). I don’t know how the tickets are bought and/or if you have to reserve tickets but if you are in the area tomorrow and you’d like to treat yourself to a horror film, T’yanak is screening at 7pm. Just in time for Valentine’s too! 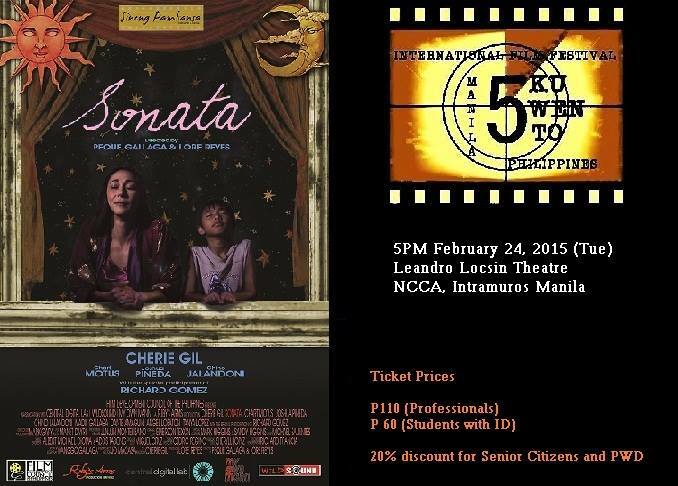 I also found out that the Singkuwento International Film Festival will be screening T’yanak and Sonata at the Leandro Locsin Theatre at the NCCA in Intramural, Manila. You can buy tickets for the Singkuwento International Film Festival at National Bookstore Branches around Metro Manila, major Robinson’s Department Stores around Metro Manila, or contact Ticketworld at 891-9999 or 0917-5506997 or 09999545922. 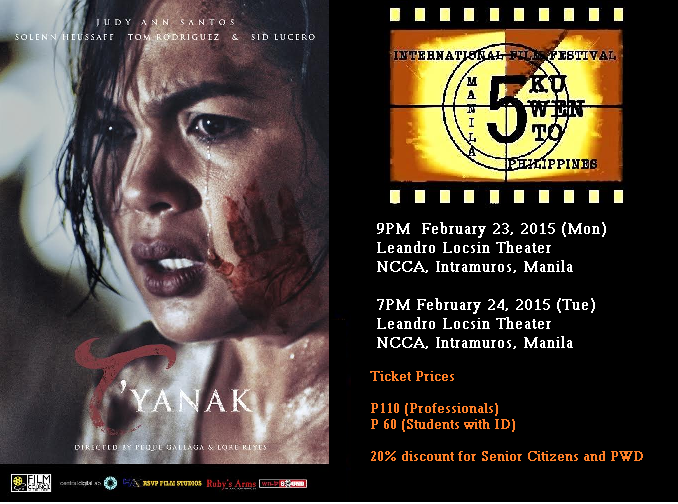 T’yanak will be showing on February 23 (Monday) at 9pm and Sonata will be showing on February 24 (Tuesday) at 5pm. Would love it if you’d come.